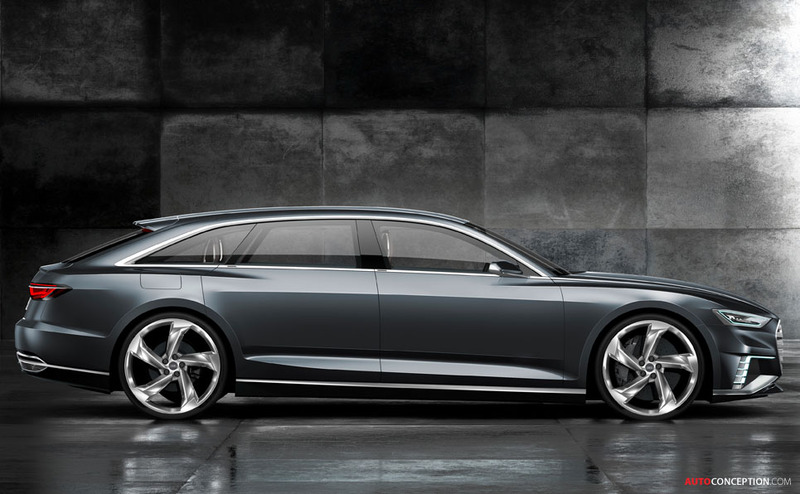 A “design with dynamic elegance” is how Audi is describing its new prologue Avant concept car, which is being unveiled next week at the Geneva motor show. 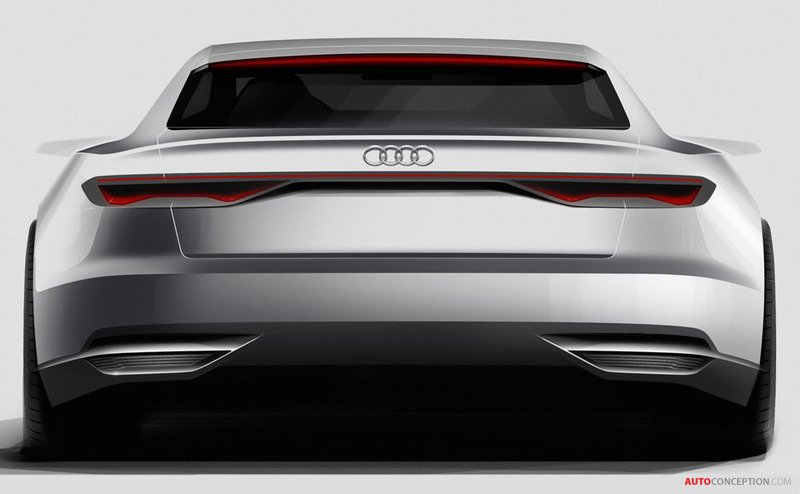 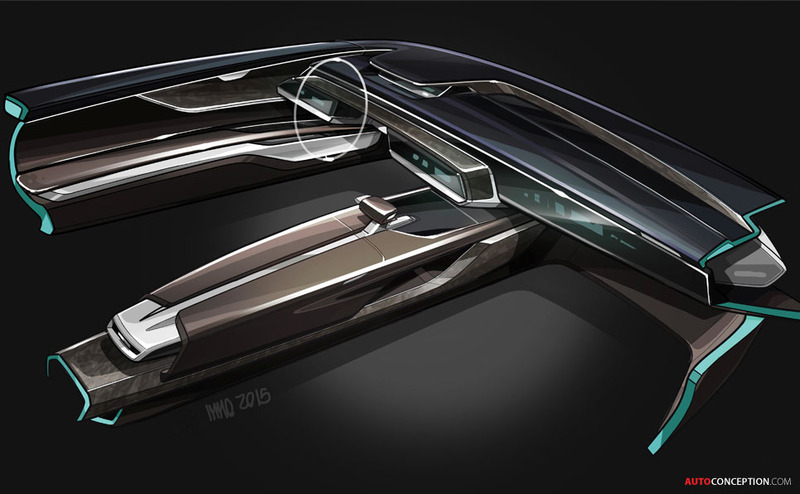 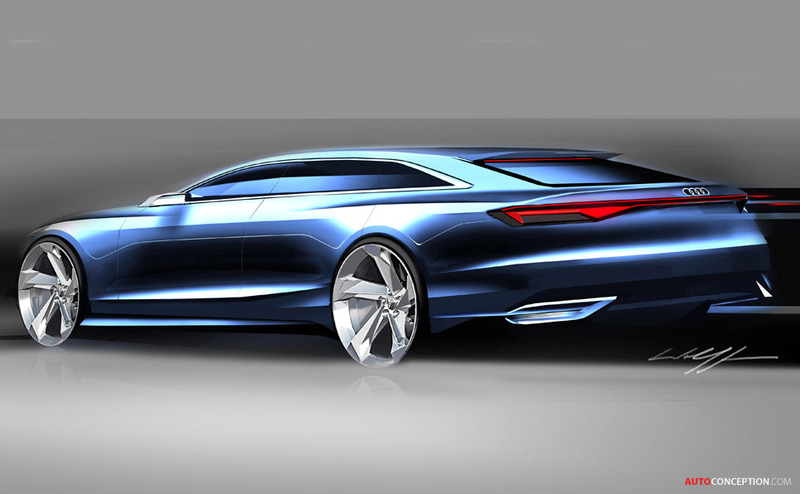 The design study gives another glimpse into the future of Audi design just four months after the manufacturer showed its prologue coupé concept at the LA Auto Show. 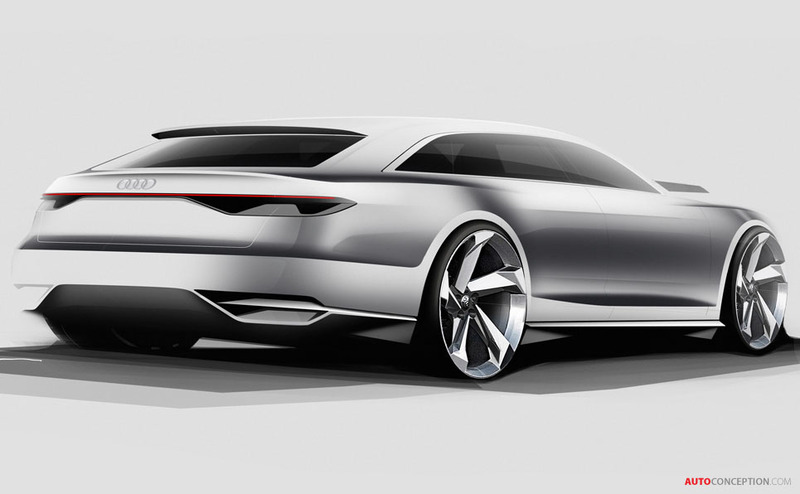 Audi designers say the prologue Avant picks up on the tradition of the design and space concepts of the proto Avant from 1982, and re-interprets this design in a modern idiom. 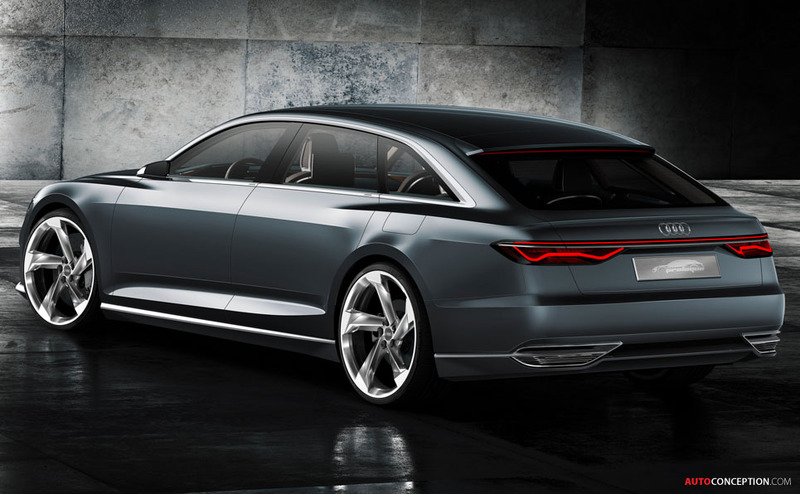 With a length of 5.11 metres, a wheelbase of 3.04 metres, a width of 1.97 metres and a height of 1.4 metres, the prologue Avant is a little larger than the two-door coupé prologue. 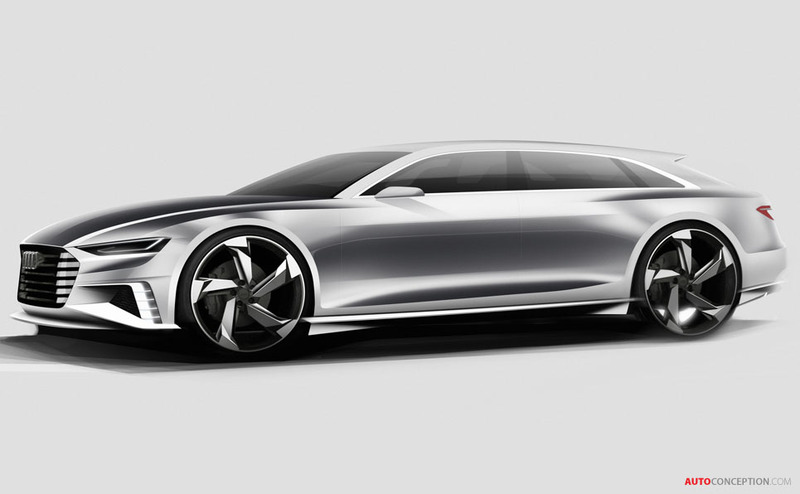 Four individual seats, four doors and a large tailgate round off the concept. 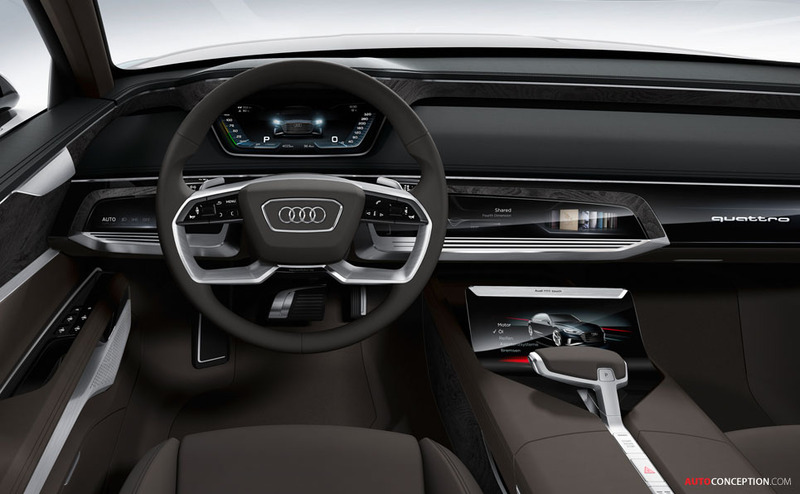 The large five-door car with its stretched roof and flat D-pillars gets a plug-in hybrid drive that is almost identical to the powertrain in the Q7 e-tron quattro which will be launched later on this summer. 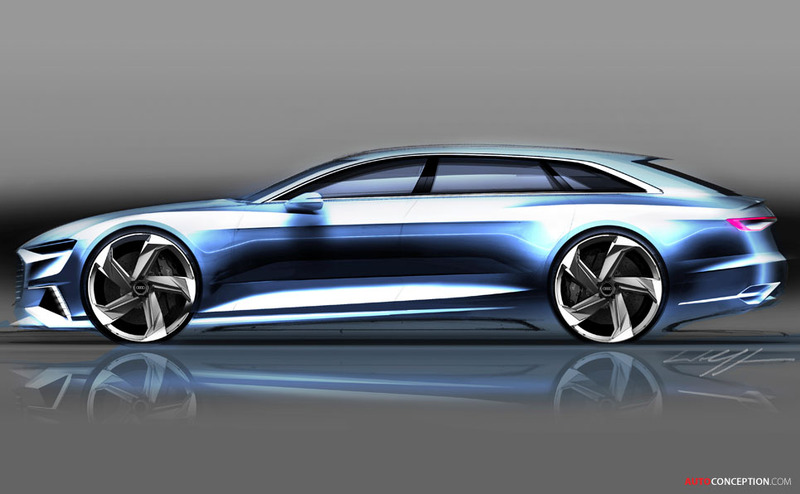 The 3.0 TDI engine outputs a maximum of 348 bhp, while an electric motor contributes up to 100 kW. 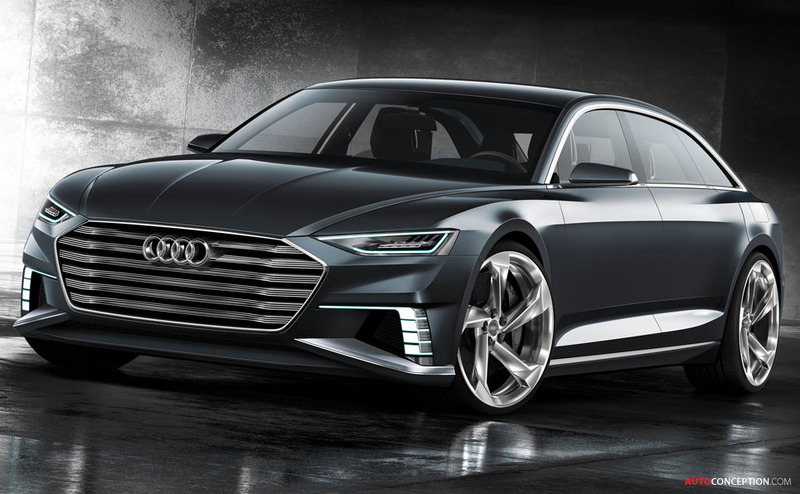 Total system output is 449 bhp, while system torque is 553.2 lb-ft. An eight-speed tiptronic directs engine power to the quattro permanent all-wheel drive. 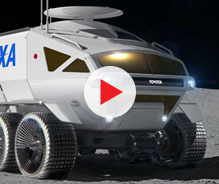 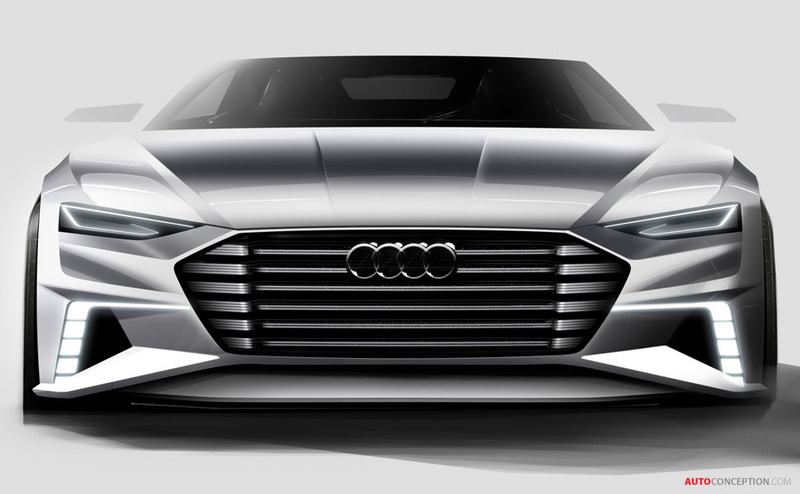 Audi claims the show car accelerates from 0 to 62 mph in 5.1 seconds and its top speed is limited to 155 mph. 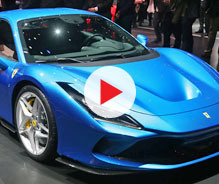 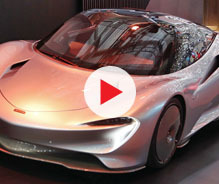 The concept is said to return up to 176 mpg combined according to the NEDC standard for plug-in hybrid vehicles – corresponding to CO2 emissions of 43 g/km. 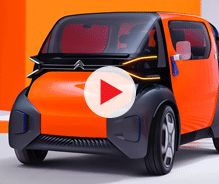 The lithium-ion battery pack in the rear storing 14.1 kWh of energy gives the car a range of 33.6 miles in pure electric drive mode. 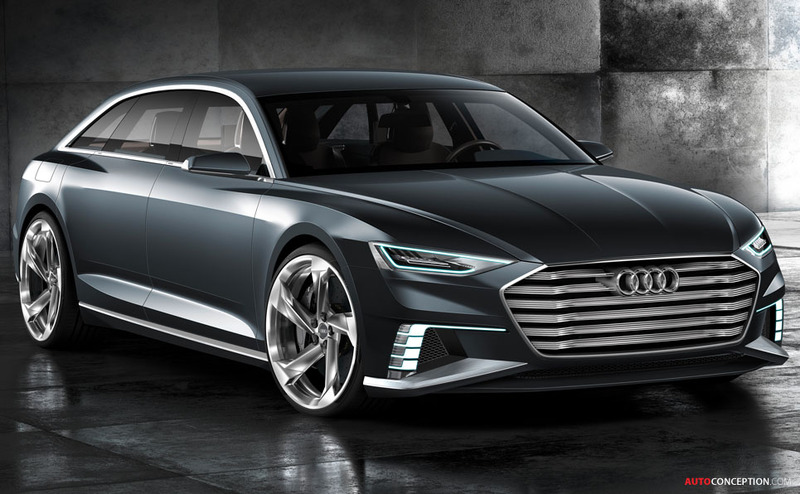 The car’s battery, meanwhile, can be charged inductively using wireless charging technology, which Audi is currently developing for series production.